INUVIK, NWT – Inuvik Gas Ltd. (IGL) and the Town of Inuvik have agreed to a new 10-year Franchise Agreement that ensures the community will continue to have access to a safe, reliable gas distribution system for their energy needs. The Town and Inuvik Gas explored several options over the last year before determining the best solution was a new Franchise Agreement to provide the community with access to natural gas and Synthetic Natural Gas at competitive rates. As the LNG supply chain continues to develop and mature, it is anticipated this will provide additional fuel options for the community. INUVIK, NT -- Inuvik Gas Ltd. would like to remind customers that the heat trace for each gas meter and above-ground gas riser must remain on. The heat trace and insulation is required to ensure the Synthetic Natural Gas system works safely during extreme cold weather. Please do not switch the heat trace off at any time. In late 2012, Inuvik Gas equipped each customer’s meter and above-ground gas riser with electric heat trace and insulation to ensure the safe, reliable distribution of Synthetic Natural Gas during extreme cold weather. This is similar to wrapping the exposed areas in an electric blanket, or like the electric heat trace in your utilidette. The supply of electricity to the heat trace must remain on to ensure system safety and reliability. The heat trace is controlled by a thermostat (GFI device) located in your home or business. INUVIK, NWT – Inuvik Gas Ltd. (IGL) and the Town of Inuvik have agreed to negotiate terms of a new Franchise Agreement to ensure the community continues to have access to a safe, reliable gas distribution system. The current agreement is set to expire in August 2014. 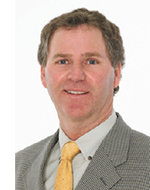 Inuvik Gas is pleased to announce that Brad Driscoll has accepted the position of General Manager effective March 1, 2014. Brad has 30 years of experience in the industry, with a background in gas fitting, appliance service, and distribution systems. His supervisory and management experience will also benefit the staff and customers of Inuvik Gas. Brad and his wife Rosalie are looking forward to enjoying all the community of Inuvik has to offer. In late 2012, Inuvik Gas Ltd. equipped each customer’s meter and above-ground gas riser with electric heat trace and insulation, to ensure the safe, reliable distribution of Synthetic Natural Gas during extreme cold weather. This is similar to wrapping the exposed areas in an electric blanket, or like the electric heat trace in your utilidette. This winter heating season, customers are responsible for the electricity costs associated with the gas-related heat trace system. The temporary Heat Trace Rebate program has ended. The heat trace and insulation is required to make sure the Synthetic Natural Gas system works safely during extreme cold weather. The supply of electricity to the heat trace must remain on to ensure system safety and reliability. The heat trace is controlled by a thermostat located at your home or business. Inuvik Gas is fully committed to continuing to deliver safe and reliable gas service to its customers for the coming year. We will continue to operate the system with Synthetic Natural Gas as the main source of fuel over the 2013 – 2014 winter heating season. Inuvik Gas will be checking the heat trace at the gas meter periodically over the heating season to ensure the safe operation of the system. Inuvik Gas Ltd. and the Town of Inuvik have provided one year’s notice to each other that they will not renew the Franchise Agreement which ends August 2014. Inuvik Gas is fully committed to continuing to deliver safe and reliable gas service to its customers for the coming year. Inuvik Gas is and will continue to work directly with the Town of Inuvik and the Government of the Northwest Territories over the next year to explore options that continue to use the existing distribution system that has delivered safe and reliable energy to heat customer’s homes and businesses. For more than 14 years, Inuvik Gas has served the Town of Inuvik under its existing Franchise Agreement. Customers have saved more than $30 million over the term of the Franchise as a result of the lower cost of natural gas. Without local access to natural gas or a long-term fuel supply solution, Inuvik Gas is unable to enter into a new long-term Franchise Agreement. Inuvik Gas supplemented the diminishing natural gas supply by investing in a Synthetic Natural Gas (SNG) system with the same clean-burning characteristics of natural gas. Inuvik Gas has assured the Town that customers will continue to receive safe, reliable delivery of gas over the winter and to the end of the Franchise Agreement in August 2014. Updates will be provided at a Town Hall meeting tentatively set by the Town of Inuvik for September. Inuvik Gas Ltd. confirms the Synthetic Natural Gas (SNG) rate is $35.44 per gigajoule (GJ), based on the landed cost of propane at the time the request for proposals (RFP) for propane supply was completed on February 1, 2013. The rate, which was set following approval by the Public Utilities Board (PUB), has also been reviewed and endorsed by the Town of Inuvik and is effective February 1, 2013. The SNG system was put in place to provide a safe and reliable source of energy for homes and businesses in Inuvik. Customers will start to see the new rate reflected in the next billing cycle. The largest portion of the rate, or $27.17/GJ, is made up of the purchase of propane and the cost to deliver it to Inuvik, as determined through an open, competitive bid process. The costs incurred by Inuvik Gas, including delivery, operations, maintenance and keeping the Ikhil reserve functional and accessible, make up the remaining $8.27. The Town of Inuvik is now running on SNG. Inuvik Gas worked closely with the local and chief gas inspectors during the switch. If customers experience any issues with their gas appliances on SNG, they should call Inuvik Gas immediately at 777-4427. Inuvik Gas wants to hear from customers so they can address any concerns that may arise. To ensure continued safe and reliable gas service during cold weather, it is essential that the supply of electricity to the heat trace on the gas riser is maintained. Customers are asked not to unplug the Ground Fault Interrupt (GFI) device that is plugged into their home or business. Customers are asked to check regularly to see if the light remains on. If customers will be away, we encourage you to have someone check this for you. If the light does not stay on, please contact Inuvik Gas immediately at 777-4427. Safety tip: Natural gas and SNG are both odorized. If you smell gas, call Inuvik Gas' Emergency Line at no charge 24 hours a day at 777-4427. In preparation for cold temperatures this winter, crews from Inuvik Gas will complete the installation of heat trace and insulation on meters and above-ground gas risers at customers' homes and businesses by early next week. This work, similar to wrapping the meter and exposed pipe in an electric blanket, has been done to support safe and reliable service during extreme cold weather. Once the heat trace and insulation work has been completed, covers for the meters will be installed over the following few weeks. To ensure continued safe and reliable gas service, it is essential that the supply of electricity to the heat trace remains on. Please do not unplug the Ground Fault Interrupt (GFI) device. We want to sincerely thank our customers for welcoming us into their homes and businesses during this process. This project could not have been completed so quickly without their cooperation and understanding. More information is available at www.inuvikgas.com or by calling Inuvik Gas' general number at 777- 3422. Drin tsal zhit shoh ohlii. Drin Choo Zhit Zhoh Ohlii. Inuvik Gas filed a proposed rate of approximately $37 per gigajoule with the Northwest Territories (NWT) Public Utilities Board (PUB) yesterday. The proposed rate, which includes the costs of the Synthetic Natural Gas (SNG) system, has been reviewed and endorsed by the Town of Inuvik. The SNG system will provide a safe and reliable source of energy for homes and businesses in Inuvik this winter. Inuvik Gas plans to implement the new proposed rate effective January 1, 2013 conditional on PUB approval of the request and the finalization of commercial arrangements for propane supply. The proposed rate will appear on most customers' bills in January 2013. Added Mayor Floyd Roland, "The safety of our community, family, and neighbours is of paramount importance, and we are pleased that Inuvik will continue to have access to a reliable source of energy this winter. The proposed rate has been reviewed by the Town, and appears to be reasonable, as it is comparable to what is paid by consumers in other NWT communities." The final cost for this winter season will be subject to the actual price of landed propane at the time the contract is signed with the supplier. The contracted price will reviewed by the Town of Inuvik. The largest portion of the proposed $37 rate is made up of the propane and the cost to deliver it to Inuvik, which will be determined through a competitive open bid process. The cost of Inuvik Gas Ltd., including operations, delivery, maintenance, safety, and for keeping Ikhil functional and accessible, make up less than one-quarter of the expected final cost to the customer. The new price averages the cost of both SNG and natural gas. The price will not change as Inuvik Gas switches between the two fuel sources this winter. Inuvik Gas has successfully completed the testing and implementation of the Synthetic Natural Gas (SNG) system. More than 95 percent of in-home inspections have been completed. While we did encounter some appliances that require maintenance, Inuvik Gas has found no issues with appliances running on SNG in homes and businesses. In preparation for cold temperatures this winter, we have completed our survey of all external gas piping and meters, and immediate action is required to support safe and reliable service during extreme cold weather. Therefore, on Wednesday, November 14, crews from Inuvik Gas will begin working in Town section-by- section, starting with businesses, to install heat trace and insulation around the meters and the above- ground gas risers at every customer’s home and business. This work, similar to wrapping the meter and exposed pipe in an electric blanket, is required to ensure uninterrupted SNG service. In many cases, the outdoor piping will be modified and the regulator may need to be moved. This work will require access inside the building to relight the appliances. The installation process will, in most cases, require crews to visit each home or business once for approximately four hours. This work will include an in-home assessment, installation of the external heat tracing and insulation, set-up of the electrical connection inside the home, and powering-up the system. Please note that the participation of every customer is required in order for Inuvik Gas to continue to heat homes and businesses this winter and to not compromise the system for all customers. Inuvik Gas will compensate customers for electricity costs associated with gas-related heat tracing this winter through a rebate to their gas bills. We intend to complete this work within about five weeks while the Town is using natural gas from Ikhil. Inuvik Gas will be calling customers to schedule an appointment. We also encourage customers to call and leave a message at 777-3406 to suggest a convenient appointment time, seven days a week between 9 a.m. and 8 p.m. Inuvik Gas will also be posting schedules, a map, and regular updates on our website, so please visit www.inuvikgas.com regularly. Customer cooperation is greatly appreciated. If you have any questions please call Inuvik Gas' general number at 777-3422.